ACHTUNG! Proceed no further until you’ve read Part 1 of the C 390DD coverage. NAD’s Direct Digital amplifier took a mid-review detour. 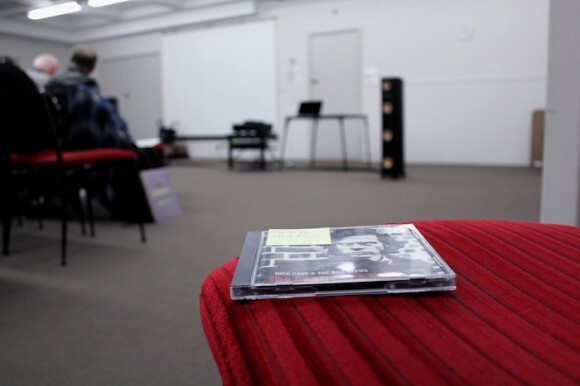 Australian distributors APG required it for a Sydney Audio Club demo afternoon. 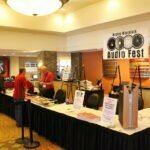 In a large floor-boarded room the NAD drove PSB Imagine T2 floorstander for a gathering of local hi-fi enthusiasts. Similar to visiting hifi show hotel room exhibits I had no baseline reference. Cut and dried sonic judgement calls were near impossible. Even though I already had a solid grasp on the NAD’s personality, the speakers and room were unfamiliar territory. 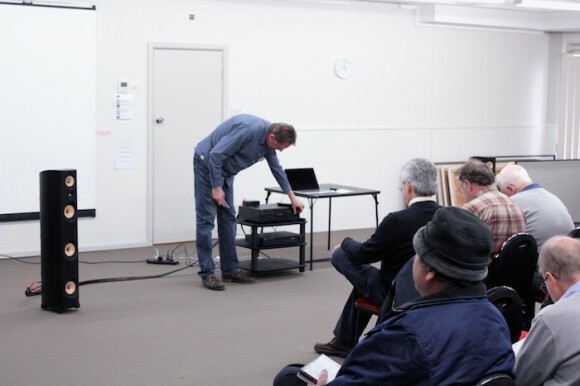 I know not how attendees discern between amplifier and loudspeaker talents. Maybe they don’t? No-one seemed to mind though. The afternoon’s emphasis was tilted more towards music: Beethoven, Ian Moss, a piano ballad from Nick Cave And The Bad Seeds’ The Boatman’s Call and the first cut from Sphongle’s The God Particle. Despite the listening room’s obvious mid-bass excitement, Simon Posford’s bass-heavy squelch cut clean and tight. The cymbal-shimmer that worked the rear of Cave’s maudlin scene was present but never insistent. Nice. These latter tunes two were given a repeat run back at Darko Towers with similar findings. Twice as nice. M83 didn’t always sound as they do now: one foot in the 80s, the other in adolescent-innocent synth fuzz. In 2003 they were a duo that made epic soundscapes without gravity-centering vocal lines. A second time period running the C 390DD’s flair with electronic fare. It extracted superb inside-out H O L O G R A P H Y from the laser-guided energy of M83s Dead Cities, Red Seas and Lost Ghosts – itself an album that would best soundtrack a low plane ride over still, freezing water. Another solicitor of the ‘cathedrals of sound’ metaphor is Kanding Ray. He makes music that connotes ice sculptures and tall glass-and-steel constructions. This is electronic music’s way of representing light reflection and refraction. From less jitter-immune DACs this metallic machine music plays on one’s nerves (too edgy, too steely). It must be the NAD unit’s proficiency with jitter rejection (via S/PDIF) that keeps the C 390DD from going the same way. Every tick and shimmer of 2011’s Or is revealed with careful precision. It sounded more elegant than etched. The listener can relax INTO nervous dance music. The NAD doesn’t hug you under the porch light – it throws the doors wide open on its warehouse of detail leaving you to enter of your own volition. 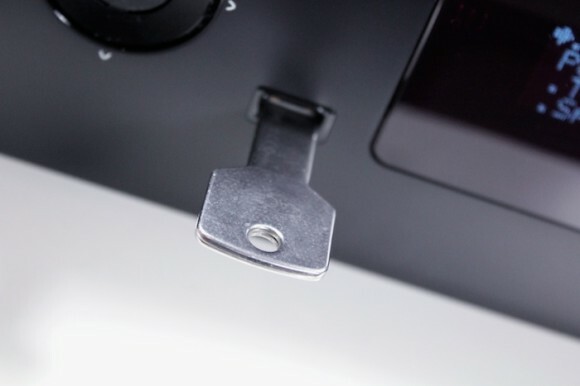 The front and rear Type A USB slots – for connection of thumb drives and portable USB HDDs – make up much of this amplifier’s extensive connectivity appeal. Extremely handy for when mates stop by with that “you-gotta-hear-THIS look” on their face. And also a boon for owners of the Radiohead discography USB drive, The Beatles Stereo Box on USB and The Stone Roses’ remastered debut on that lemon-shaped USB drive. 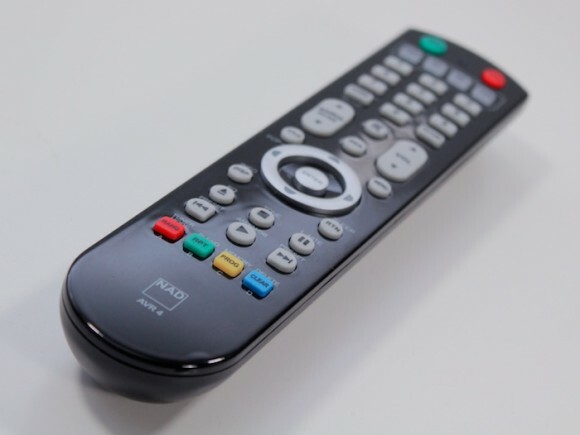 “This morning I’ve been playing with the USB front input with a USB key but I can’t seem to get the files in each folder to display or play in the correct order. Have checked the manual but nothing there on this. The only tags stored in each FLAC are artist, album title, track title and tracknumber, as well as replaygain information. The files were ripped with EAC about 5 years go! I did try other folders of music but they also displayed/played in an apparently random order. So – music files on external drives are played back in datestamp order. 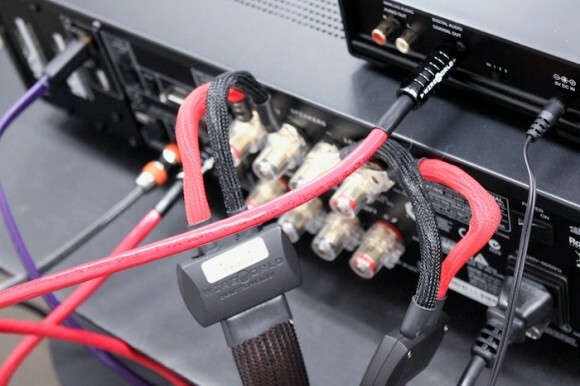 How curious of NAD to include these Type A ports only to recommend using the (more usual/familiar) Type B for connecting a Mac or PC and controlling file playback via its software. This might be addressed in a future firmware update (for which the end user must return the unit to an approved dealer) but in its current state, I can only recommend Type A USB connectivity for drives containing a song collection where sequencing is unimportant to the listener. Fine for social gatherings then. Serious audiophillia must still run with Type B USB, which – as previously explained – isn’t as good as the neighbouring S/PDIF. Once again, we return to the need for a good USB to S/PDIF convertor for computer host playback. If you think ‘accurate’ means nails across a blackboard, a knife sliding on an empty plate or teeth itch oppression it’s time to think again. 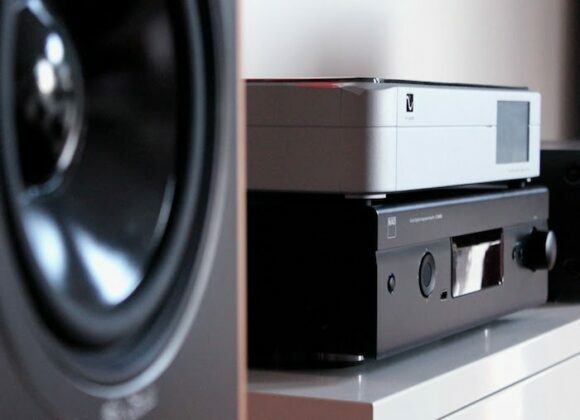 NAD want you leave your preconceptions at the door, to sit down, listen and re-evaluate. The C 390DD trawls for detail whilst filtering out some of the more clichéd negative emotional verbiage: cold, obsessive compulsion, analytical, thin, neurotic, edgy, nervy, brittle, harsh. It is NONE of these and that itself is an achievement in its own right. Have you ever driven way out of the city an stood in awe of the sky on a clear night? All those stars – you never knew there could be so many. Such wonderment. That’s what listening to the NAD 390DD is like. Against the blackest of night sky backgrounds there is just so much to take in at once. From a distance. This ‘Power DAC’ is very different to my current reference pairing: a Sansui AU-517 integrated and PSAudio PerfectWave MK2 DAC. Those two together are more up in your grill. They work with greater bombast and jump-factor than the solo NAD. Instead, the latter won’t push its personality upon you – it prefers you to go to it. 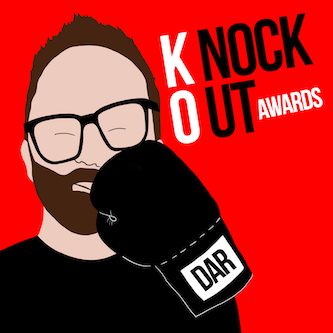 Punch in your favourite reference recording – I’m confident you will hear things you’d not noticed before IF you pay it the smallest modicum of attention. What’s more, 150wpc means you won’t run out of steam with those tougher loudspeaker loads. Swap/meet/greet. Tony Schmidt of Audio Addiction recently sent me a Trafomatic Premise (AU$5000) ‘to play with’. Picture a bigger, badder Aries. This one pumps 20 wpc. Like the smaller, cheaper EL34-er it too was commissioned by the man down under (Schmidt). Sasa Cokic was asked to distill his Kaivalya monos into a more wallet friendly EL84 integrated. A couple of weeks’ listening has already revealed its talent with defining lateral musical layers with grace and beauty; emotional descriptors of an illuminated, intense and fast seduction. Like eery suburban sprinklers that come on at 2am, it sprays music-as-mist well in front of the loudspeaker plane. By contrast, NAD’s direct digital black box brooks no affectations. It also enforces the speaker plane as a strict boundary that music shall not cross. Assuming you don’t want to be romanced and/or seduced and that you like to be told ‘how it is’ politely, there would be few DAC/amp combos that’d get close for the $3k. They’d be hamstrung by their own box separation. Those wanting more humanity could hook the pre-amplifier outputs on the rear into something with more agreeable harmonic distortion; in my case, the Audion EL34 Sterling sacrificed little in overall resolution whilst adding a hint of Ready-Brek glow. Bass tightness and definition also took a minor hit but that’s only in contrast to the the standalone NAD being an over-achiever with rear-end pertness. Class D detractors won’t be surprised by this. They will likely tell you that Class D amplification is ONLY good for low-frequency amplification. In the real world, not every hi-fi enthusiast espouses such old-school rhetoric. The compromise with NAD’s direct digital technology for some will be its standoffishness with neutrality. For others, this will be exactly what the doctor ordered. You’ll wheel out your straight-wire-with-gain demands. The C 390DD will meet them. And then some. Readers should note that the C 390DD surpasses the sound of other Class D amplifiers (that I’ve heard) because it makes music sound more aqueous. It might be that other Class D-ers in this price bracket – Peachtree Audio and Wyred4Sound – can work similar magic. Until I spend some time with the former’s Grand Integrated or the latter’s m-INT, I just won’t know for sure. 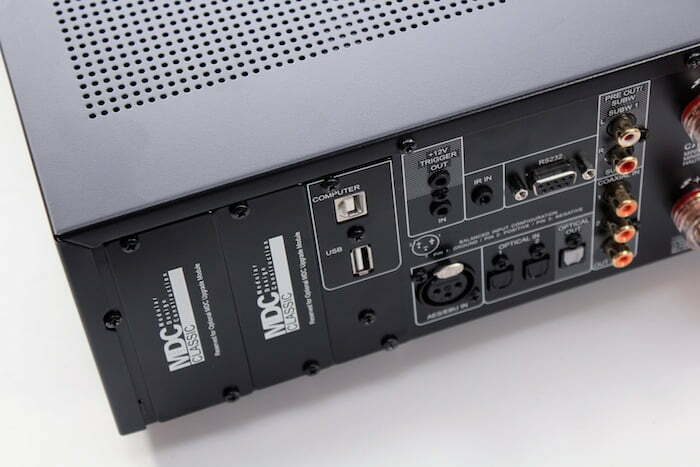 If you demand more flexibility (and HDMI inputs as standard) you could go NAD M51 + BYO power amp. (I’d finger the NAKSA 100 as a potentially solid dance partner). If your sources all digital you’re already covered. Turntablists and those with off-board decoders will need to spring an extra AU$399 for the slot-in DD-AP1 Analogue Phono module. With NAD’s modular approach, you only pay for what you need and – another plus – the long-game upgrade path means you won’t have to replace the entire unit. 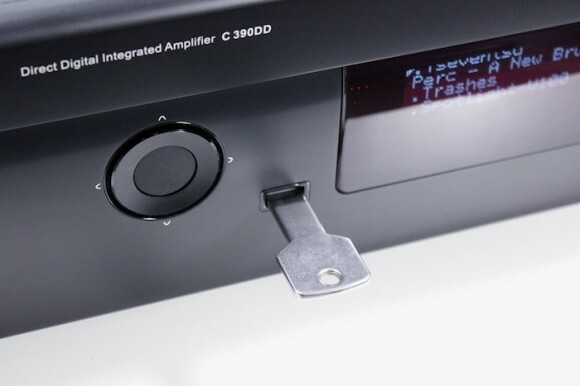 As a one-box solution NAD’s C390DD seals all the magic under one roof, where DAC and amplifier play as conjoined twins. There are no interconnects to ruin the party or blow out the budget. 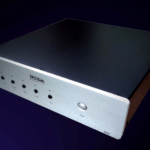 If resolution and transparency are your top priorities, NAD’s ‘power DAC’ could have you starting again (seriously). With Class D, there will always be those that espouse the ruling classes (A and A/B) without apriori listening. 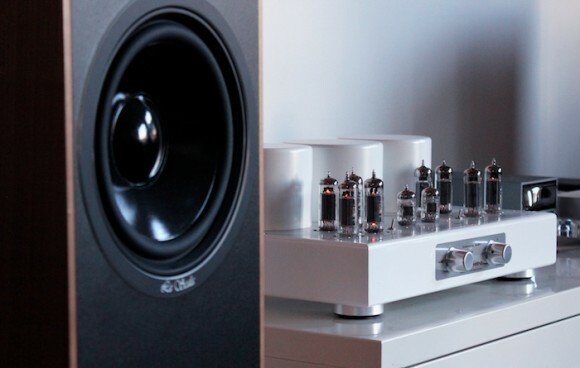 To those unencumbered by such dogma, I say this: if your current DAC and amp ran you close to $3k in pursuit of a diffident neutrality, give serious though to selling them and buying this. Yes, for real. Would love to see how you think the new NuForce DDA-100 compares to the NAD. I’m keen to know if that gleaming white beauty (Trafomatic Premise) sounds anywhere near as good as it looks?? Trafomatic amplifiers are works of art with sound that is very special. The Premise is no exception: more drive than the Experience Two. Exquisite separation and not too romantic. Having switchable ‘Ultra-linear’ and ‘Triode” means the user has some control over how much lap dance gets dialled it. I’ve no realy idea what any of that means but it sure is purty – I wants one! I know the scrambled file order is a pain, I got the same problem on my honda head unit. That’s a useful tip Marlo – thanks. Having had the NAD for a while all I can do is agree with John. Ifv neutrality is your goal this is the amp for you. I own the Traf Experience Two – divine amp – but coloured. The NAKSA (which I also own) is much more neutral than the Traf – but the designer Hugh has voiced it to have a bit of warmth so deviates again from neutrality – again nice to listen to – but not strictly neutral. The NAD is neutrality plus. Not better or worse than the other amps – just different. Regarding digital amps I have now heard one that blows all other amps I have ever heard away – digital or otherwise – an Arion RS-500. It just sounds so real to my ears and I will have one in my hot little hands and system soon. Will see if I can get it to John for review a bit down the track – but at $6K it is a bit more expensive than the NAD. amplifiers to that of the very best linear amplifiers. They comment on how realistic and warm the sound is and describe the sound stage as wide and deep. Even on crowded tracks listeners can identify the fine detail, the precise instrument positioning and separation and at the low end, a tight punchy bass. Outstanding small signal linearity allows the true character of the music to be heard just the way it was recorded. very low residual output noise voltage of less than 60μV. Less than 0.004% from 1W to 250W into 8. ±0.5dB up to 20kHz with 44.1kHz sampled data. 85kHz with higher sampling rates. provision of a low jitter clock to the ZXCW8100 device, a jitter of less than +/-1ns is required. As well as low jitter the master clock needs to be a consistent mark to space ratio. This master clock is generated from the external audio system, consistency needs to be better than 3ns with a 33MHz master clock. VERY useful information. Thanks David. My local store is a rep for both NAD and Magnepan. This gives me an excuse to wander in and chat with them about that pairing. I bought a pair of used 1.6s from them, and am casting about for an amp that I might be able to purchase in a year. I’ve added the 390DD to the list, provisionally. First off, I’m the David that mentioned that he was going to try the Odyssey Khartago amp as I was concerned about whether the 390DD could handle the impedance of the Maggy 1.7. Well, what an odyssey that was…(no pun intended). First, the amp was “hum” city. Hum, HUM, HUM!!! Second, the company said that all I had to do was float the ground with a “cheater plug” – didn’t help. Then I tried a Ground Loop Isolator, again, didn’t help. I swapped preamps, cables, outlets, power cables, and even amps (which all worked beautifully) you name it. Didn’t help. The company insisted it was me. Couldn’t possibly be their amp. They finally decided to replace it but by then I had had enough. I returned the amp and I returned the new Benchmark DAC2 preamp/DAC that I bought for the Khartago. I said, the heck with it an ordered the NAD 390DD. At this point, I was so upset, I said if this didn’t work I’ll just return it too! It has worked beautifully. I put it through its paces by power driving Dark Side of the Moon through those speakers along with Beethoven’s 9th. Both were handled without breaking a sweat. I love this amp. I love the ergonomics. I am currently storing my music on an Apple iMac and wirelessly streaming it to my Squeezebox Touch (can’t for the life of me imagine why Logitech discontinued this item) and running it digitally into the NAD. I control the whole thing from anywhere in my house with my iPhone. Life is good!!!! John, if you still have those 1.6’s, I say go ahead and buy the 390DD – you’ll love it!! !